Not many people remember their first bicycle ride. I sure don’t. Fortunately I had someone capture that first moment. At a recent gathering at my parents, I was browsing through some old family albums. I came across a photo of myself on a bike. My brother pointed out that this was the very first time I rode a bicycle on my own. Living in the suburbs, the only way for kids to get around was to ride a bike. My parents entrusted my brother who was then 11 years old, to take me with him. He would lift me up, plop me down in front of him on the banana seat with my feet pressed up against the handlebars. One day we had to go home to quickly pick up something up. I was left outside standing on the driveway next to the bike. When he came back out, he was stunned by what he saw. 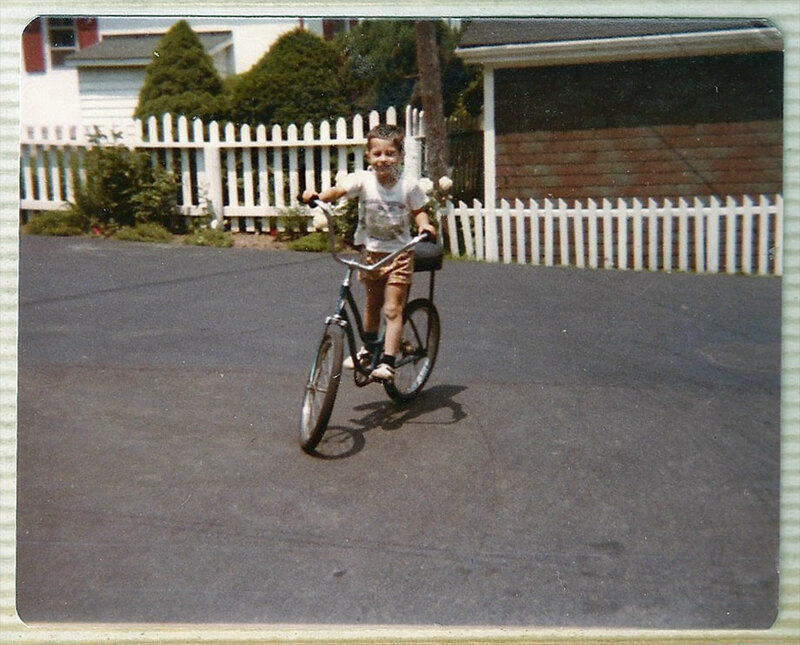 Here I was, just four years old and too small to even sit on the seat, riding his bike in circles. He ran back inside to call my mom, who came out with a camera and took a photo. Just like a toddler taking their first steps, riding a bicycle for the first time is as natural and a significant moment in the journey of growing up.